WORKSPACE | Words by Jon Hartman. 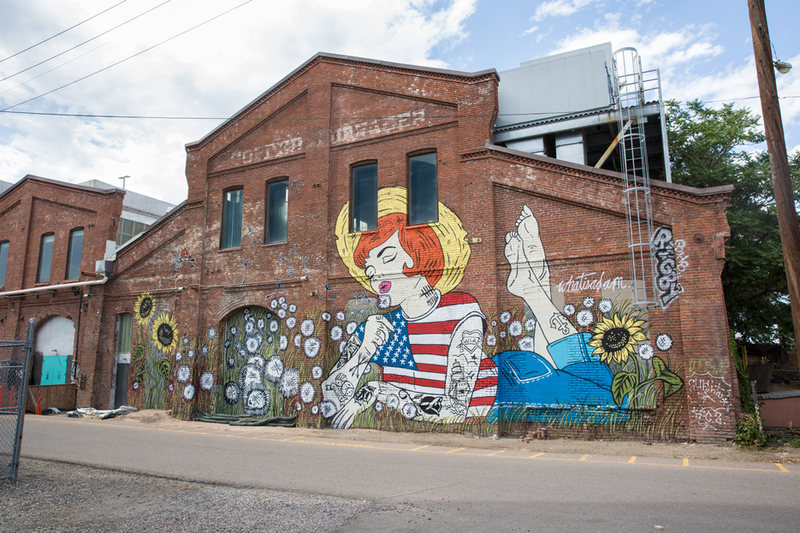 Nestled in the River North Art District (RiNo) of Denver, on a 20 acre formerly abandoned site, you’ll find TAXI. 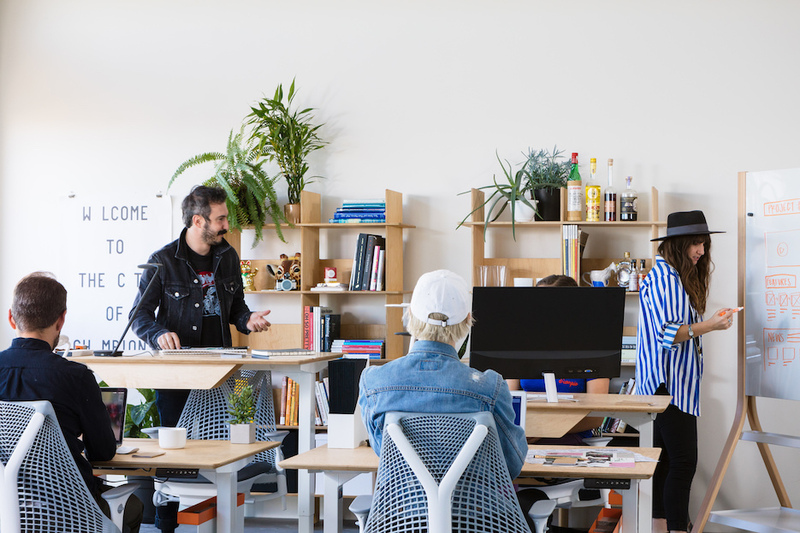 Once a yellow cab dispatch centre, this now thriving space is home to a number of full time residents and over 80 creative businesses like Saatchi & Saatchi and Craftsy. The mixed-use TAXI community consists of nine buildings, of which ‘Flight’ is the latest, and acts as catalyst for collaboration amongst all who live and work there. 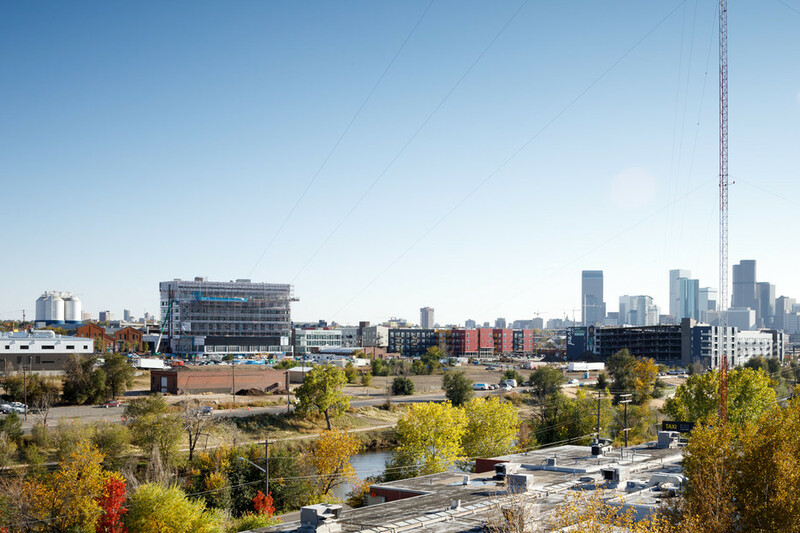 The project was conceived and expanded under the hand of Zeppelin Development; a father and son team who specialise in discovering and reinvigorating formerly industrial areas in Denver. 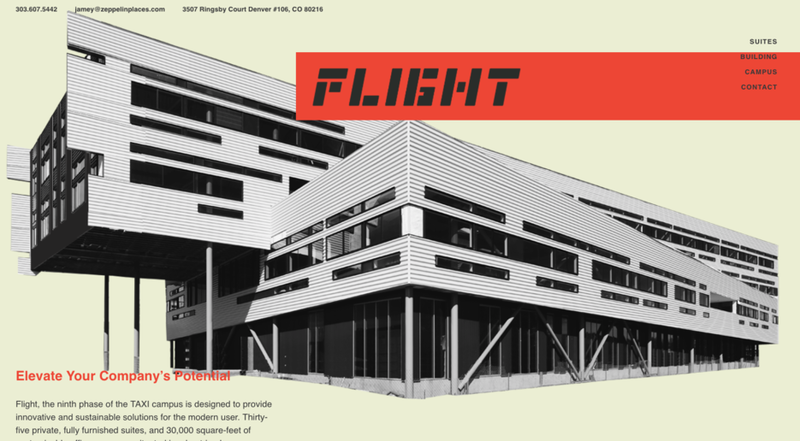 The latest addition to the sprawling TAXI community is Flight; the ninth phase of development on the campus. 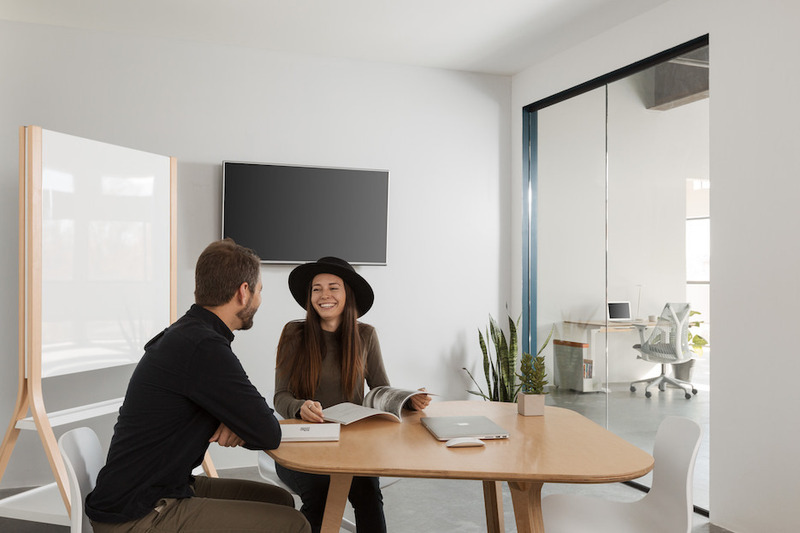 Flight has 35 fully furnished suites, 30,000 square-feet of customisable office space and a stunning open “green” roof that was recently featured in the New York Times. When it came to fitting out the private suites located on the top two floors of Flight, the Wunder Werkz team wanted functional designs that also met local and sustainable standards that are core to the building’s ethos. 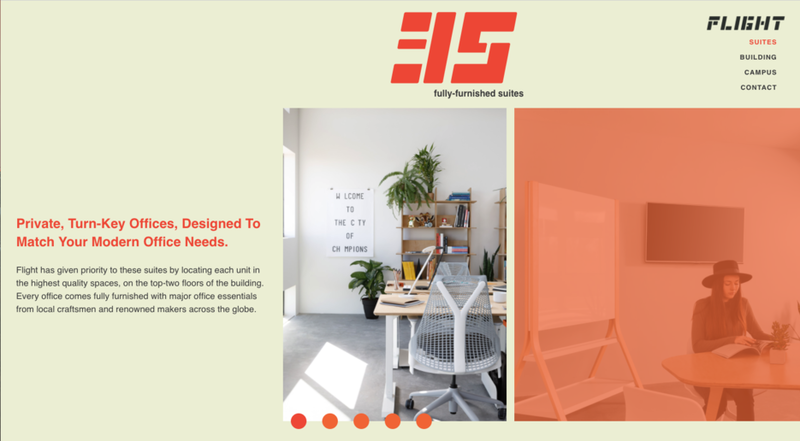 We caught up with Jon Hartman from full service design studio, Wunder Werkz, who were charged with the task of defining Flight’s brand - working on all elements from typography and web design to interiors and furnishings. 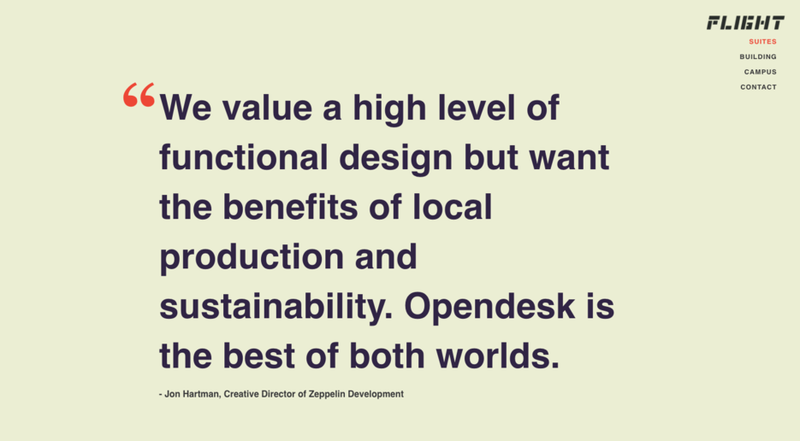 Opendesk: Tell us about your work with Zeppelin at TAXI. How did you come to work together? Jon: I met the team from TAXI and Zeppelin Dev around nine years ago when my wife Liz (who did the coding on the Flight website) and I moved into one of the residences at TAXI. The space was so unique and was really carving out a special niche in this part of the country. They worked with great architects, like Stephen Dynia, who created these building forms that just drew people in. We started slow with some marketing design and fast forward to today we do full creative for the projects from top to bottom. It is great to work with a company that has such a strong team and vision but still allows you to get far outside the box to explore your creative vision. Opendesk: How would you describe the TAXI community and how has this impacted your approach to design at Flight? Jon: TAXI is something else. 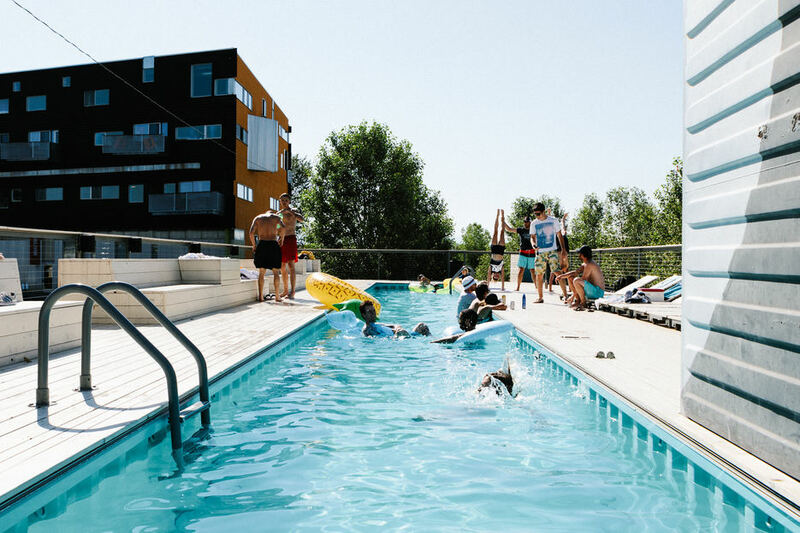 I’ve been all over the world and I keep coming back, it’s an area between the river and tracks, kind of a burned-out brownfield site that became this great zone of creative, business, and architectural innovation in the Rocky Mountain West. The buildings draw from the historic industrial nature of the campus, but take advantage of modern design and technology. Flight has one of the largest green roofs in the state and when its completed it will be LEED platinum, which is no small task. The development team at Zeppelin and the architectural team at Dynia gave us a great start to play with. 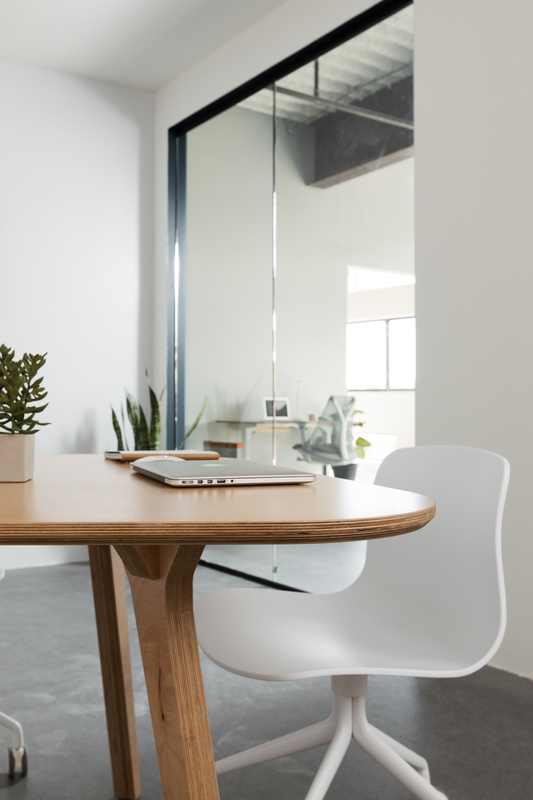 We wanted to create something with a modern and clean aesthetic that would be a strong platform for brands taking their next steps after co-working but before growing into an international headquarters. 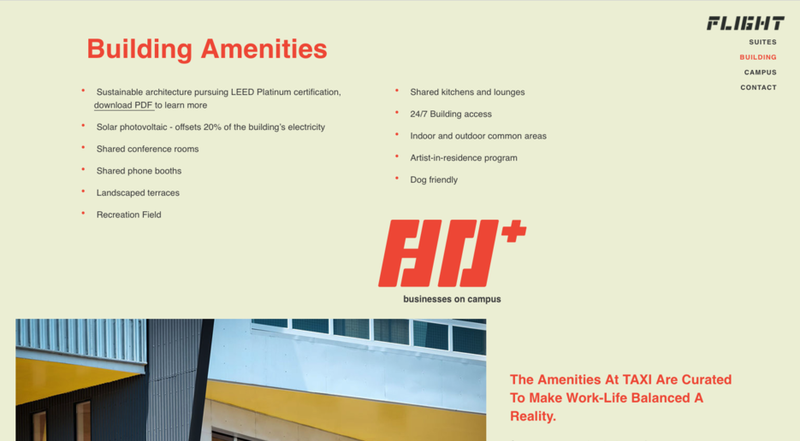 From the typography and color palette to the web and furnishing of the suites, I wanted to have a cohesive focus on quality and simplicity—a space where brands and companies could still express their own individual identity while getting an engaging and thoughtful base level of design in every suite. 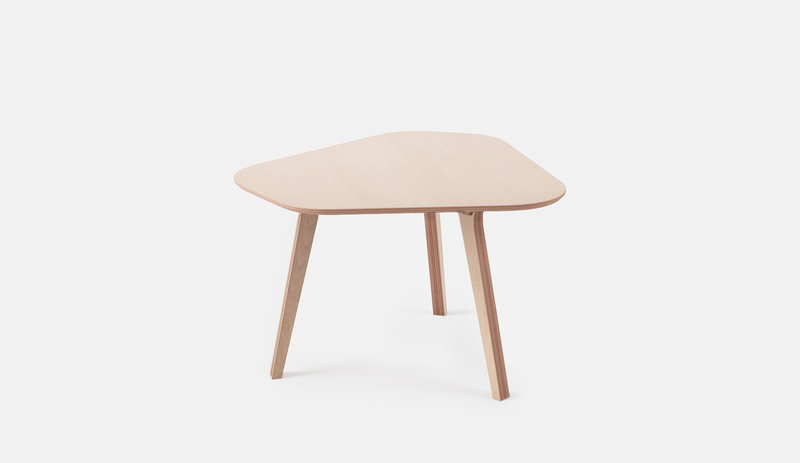 Opendesk: How did you come across Opendesk, and what about the design/approach do you like? 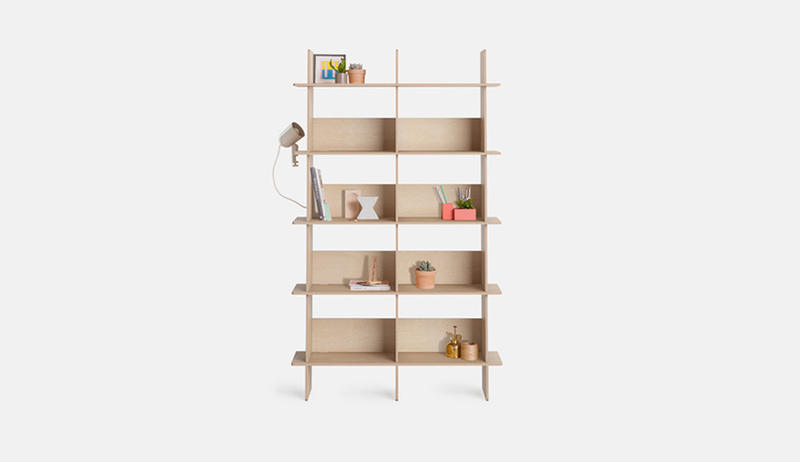 Jon: I’ve been a huge fan of Opendesk and the open-making model for a while now. I stumbled across a few of your pieces and was drawn in by the design but got hooked on the model. I was very excited to get involved in a project where we could utilize your platform so much. With the building heavily focused on sustainability, I wanted something that was true to our design standards but still had a mindfulness to it. Opendesk was such an easy fit. Clean lines, modern look, and great durability paired with your open-makers concept. The pieces were made by Housefish here in Denver which is a four-minute bike ride or a 10 minute walk from our offices. In a globalized world, I think it’s really important to work with local makers while still getting pieces from great designers from all over the globe. 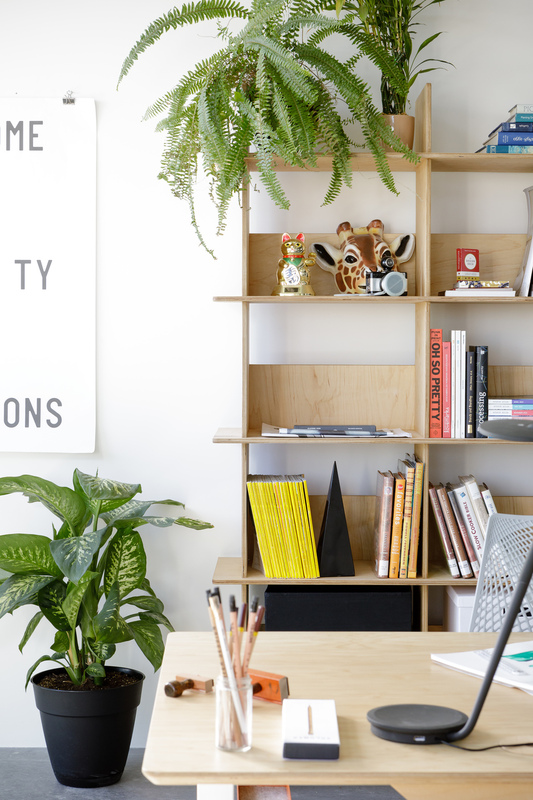 Opendesk: What other stuff are you working on? Jon: I tend to stay a little too busy. We are currently working on two hotels, two market halls and a number of restaurants, brands, bars, and start ups. On top of that, I have a line of typographic swear word posters ( which class-up any home ) that I’m selling through Station 16 Gallery in Montreal in addition to some other self-funded projects. The big passion project at the moment is a print travel guide I produce with my wife Liz called Waves. We do all the photography, copy, layout, typography, and content generation together. It’s a great way to stay creative while participating in our other passion, travel. We are just about to drop our newest issue on Cuba in the coming weeks. Vivir para viajar! 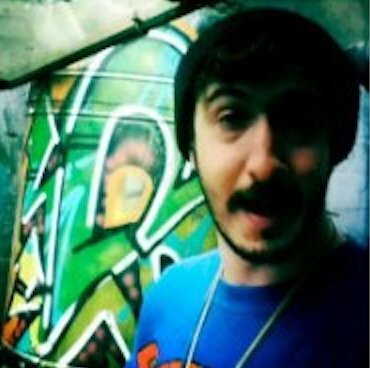 Founder of Wunder Werkz; a full service design studio based in Denver Colorado that believes in style and simplicity, but isn’t afraid to have some fun. 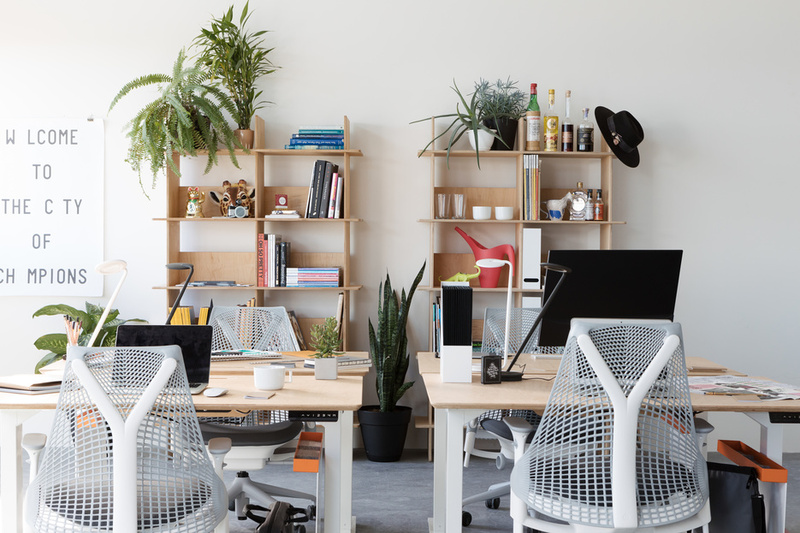 What is a flexible space? 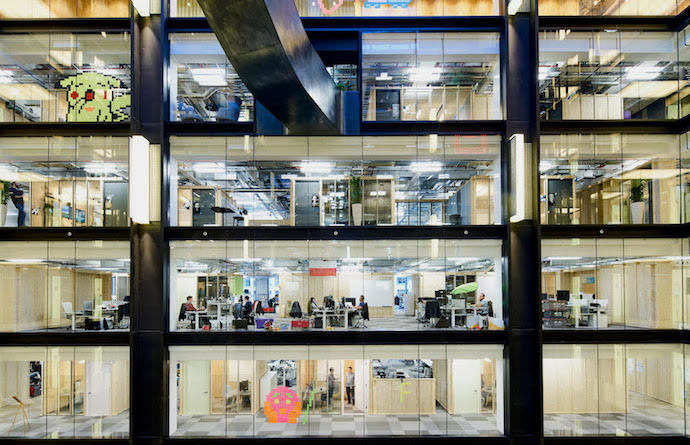 The answer from Google exists in the form of a moveable, modular meeting room.